Black and white image of a family seated in a formal portrait studio. 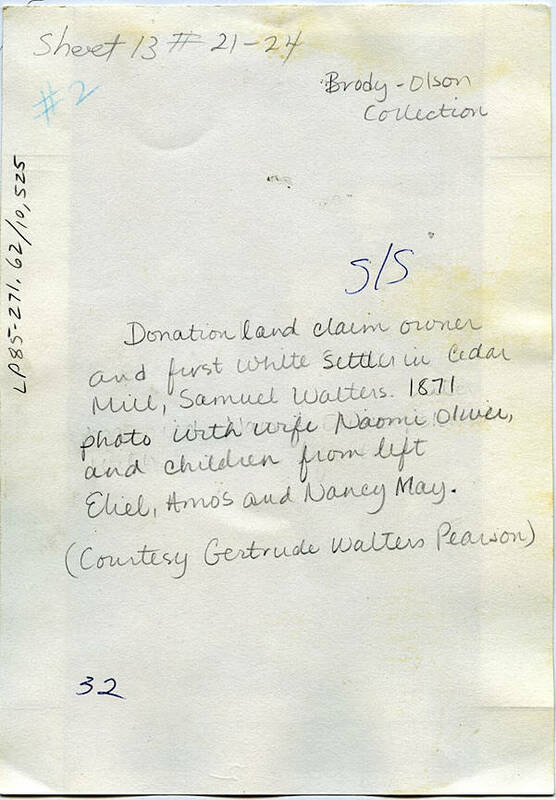 Samuel Walters was the first European American to claim land in the Cedar Mill area, and by marrying he gained even more land, since wives were allowed to claim anywhere from 160 to 320 acres in addition to that which their husbands already held. This provision in the Donation Land Claim Act meant that Oregon women were not only in high demand, but they married far younger than was typical for the times, most by the time they were 17, and some years earlier than that. (The national average age of marriage for women at this time was 20 to 21 years old.) 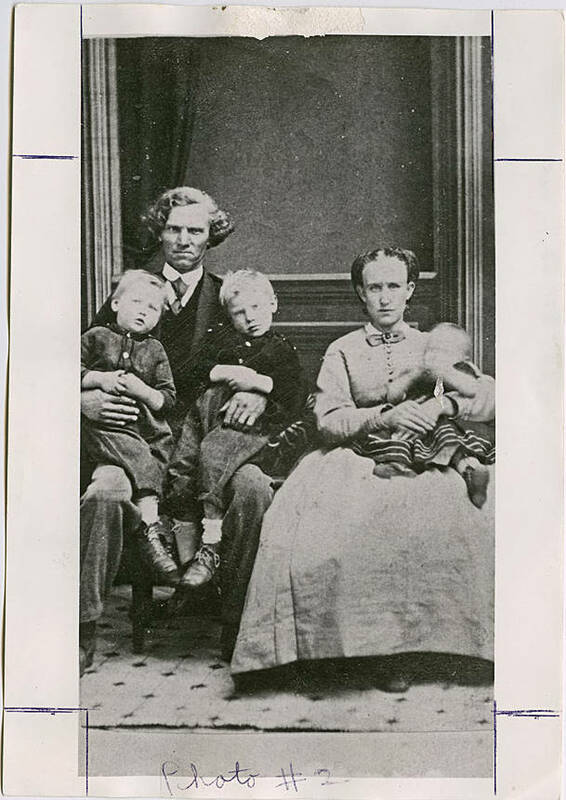 In the 1870 census, Naomi Walters is listed as 17 years old with two sons, a three-year-old and a one-year-old, the two boys in this image. The younger child, Elial, died before the next census was taken in 1880. Naomi would have been approximately 18 or 19 in this image, and Samuel about 50 years old.